What are GAM Golf Days? GAM Golf Days are one-day, 18-hole events available to GAM Members. They give GAM Members the opportunity to play some of the top private and resort courses in the state at an affordable price. There is a competitive element to each GAM Golf Day, but the emphasis is on enjoying a great day on a great golf course! What is the entry fee for a GAM Golf Day and what is included? A GAM Golf Day is priced at either $60, $80, or $100. The price is determined by the host course with input from the GAM, based on the course’s rates and projected participants at each price point. Included in each GAM Golf Day is the round of golf, use of a cart for the round, and range balls prior to the round. How does one sign up for a GAM Golf Day? 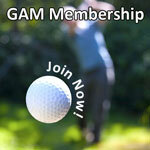 All registration for GAM Golf Days takes place online at GAM.org. You may sign up just yourself or an entire group. The GAM accepts Visa, MasterCard, American Express, or Discover. If you are having difficulty registering online, please contact the GAM. Who participates in GAM Golf Days? GAM Golf Days are open to GAM Members, men and women, age 19 and older. A GAM/USGA Handicap Index is not required, but it is useful for the competitive element of a GAM Golf Day. GAM Members between the ages of 12-18 can participate as long as they are accompanied by a parent or guardian also playing. Players age 18-or-under will not be eligible for prizes. What are the divisions within GAM Golf Days? There are three divisions within each GAM Golf Day: Men’s Division (males 49-and-Under), Senior Division (males 50-and-over), and Women’s Division. Each of these divisions play from separate tees and only compete against players within the same division. A male over the age of 49 can opt to play in the Men’s Division. What kind of competition do GAM Golf Days include? All GAM Golf Days include gross and net competition in each division for credit to the host course pro shop. A select number of GAM Golf Days will be designated GAM Golf Days Series Championship Qualifiers where top finishes will earn a spot in the season-end GAM Golf Day Series Championship. When is my GAM/USGA Handicap Index determined? Your GAM/USGA Handicap Index at the time of the GAM Golf Day will be used most of the time. In the event a GAM Golf Day falls on or just after a GAM/USGA Handicap Revision (1st and 15th of every month) the prior revision may be used. From what tees will I play in a GAM Golf Day? Typically, these are the guidelines for yardages played from at GAM Golf Days. Exceptions will be made in certain circumstances based on the course. 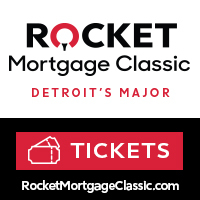 What is a GAM Golf Day Series Championship Qualifier and how do I get into the Championship? Select GAM Golf Days are designated as GAM Golf Day Series Championship Qualifiers. The top finishers in each division will earn a spot at the year-end GAM Golf Day Series Championship. What makes the GAM Golf Day Series Championship so special? In addition to playing for pro shop credit, the winners in all three divisions (Gross and Net) will receive a complimentary GAM Golf Day entry for the next season! If I qualify for the GAM Golf Day Series Championship, is there an entry fee for that Golf Day? Yes, there is an entry fee for the GAM Golf Day Series Championship. If you earn a spot through a Qualifier, you will receive further information from the GAM on how to register for the GAM Golf Day Series Championship. How do I request my playing partners for a GAM Golf Day? Playing partners can be requested by one of two methods. 1. Register and pay for your group at once on GAM.org. 2. Respond to the pairings request e-mail sent to the GAM Golf Day field approximately one week prior to the GAM Golf Day. It is appropriate to make requests for division switches and cart seating arrangements at this time too. What happens if I do not have a playing partner request? If you do not have a specific playing partner request, we will typically pair you with players in the same division and of a similar ability level. What are the deadlines for GAM Golf Days? The deadlines for GAM Golf Days are one week prior to each GAM Golf Day. Adding players after the entry deadline is entirely at the discretion of GAM Staff and the host course. Can I participate if I haven’t played in tournaments and do not have strong Rules of Golf knowledge? Yes on both fronts. The Rules of Golf do govern play at GAM Golf Days, but lack of experience or knowledge should not deter you from participating. Remember, you can’t become experienced without being inexperienced first. I signed up for a GAM Golf Day, but now cannot attend. What are my options? Participants who withdraw from a GAM Golf Day always have the option to transfer their entry fee to another GAM Golf Day for that year. If you would like a refund, there will be a processing fee. You MUST contact the GAM prior to the day of the event to be eligible for a transfer or refund. What is the GAM Golf Day inclement weather policy? The GAM relies heavily on the host facility to make the decision to cancel an event. A GAM Golf Day will not be canceled because inclement weather is in the forecast. If the course is open and the weather is not dangerous, the GAM Golf Day will be conducted. If a GAM Golf Day is canceled, an e-mail will be sent to all participants as soon as possible. How the GAM moves forward following a cancellation is determined on a case-by-case basis. In the past, GAM Golf Days have been rescheduled. In other circumstances, the course has offered a rain check where participants can play the course at a later date on their own time. The GAM will always communicate the plan going forward in the event of a canceled GAM Golf Day. If a GAM Golf Day is sold out, is there a waiting list? Yes. If a GAM Golf Day is full (84 players), and you would like to be placed on a waiting list, please contact the GAM. Please be sure to include the GAM Golf Day you would like to be on the waiting list for, as well as your e-mail address and your preferred phone number. Do GAM Golf Days have tee times or are they shotgun starts? GAM Golf Days will be shotgun starts except in very rare circumstances. If I am doing poorly on a hole, may I pick up? Yes. The maximum score that any player can make on a hole in a GAM Golf Day is a 9. If at any point you are lying 8, you MUST pick up. Are caddies allowed at GAM Golf Days? No, caddies are not allowed at GAM Golf Days. Can I walk or use a push cart in GAM Golf Days? No, you must use a cart in GAM Golf Days. What are the pace of play standards at GAM Golf Days? All players must play “Ready Golf”. That means it is acceptable to play out of turn when it improves your pace. You must be ready to play when it is your turn, and when it is your turn, the shot should be taken in no more than 25 seconds. If you believe your ball might be lost outside of a hazard, you MUST play a provisional. If GAM Staff notices a group out of a position relative to the group in front of them, we will politely ask that they pick up the pace and work to close the gap with the group in front of them. If the last group out on the course has not completed their round within 15 minutes of the second-to-last group’s finishing time, we will consider the competition closed and begin awarding prizes without posting the last group’s scores. Who posts GAM Golf Day scores to the Handicap System? New starting in 2018, the GAM will now handle posting for all GAM Golf Day scores. Are GAM Golf Day scores classified as Tournament scores? No, GAM Golf Day scores do not qualify as tournament scores. Do the courses have food and drinks available at GAM Golf Days? What is made available to participants in terms of food and drinks is entirely at the discretion of the host course. For the most part, courses will have a snack shop/halfway house where you can purchase food or drinks during a GAM Golf Day. 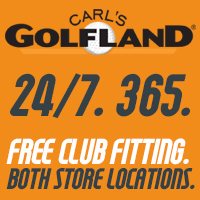 If I leave right after I turn in my scorecard, how will I find out the final results? Results are e-mailed to the field following the round. If you have won pro shop credit, but leave before it can be claimed, the certificate will be mailed to you. Typically, the gift certificates are valid through the end of the season or for one full calendar year. Please be sure your correct home address is listed in your GAM profile.